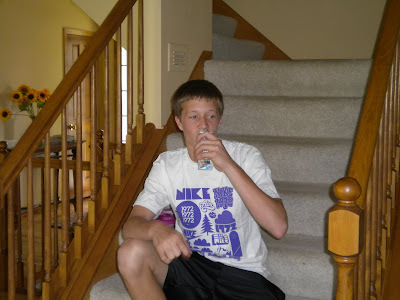 ANDREW the MAN LINDQUIST seen here drinking the ridiculously expensive Muscle Milk which got him where he is today....the throne of victory! She is also a lovely young lady who is a great spiritual mentor for my kids.... I know they tell her stuff they won't tell me....I don't know what...but I know that they do. And I'm ok with that.